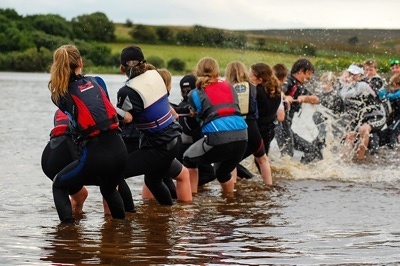 Scaling Dam offers a superb location for young people to learn to sail in a fun and safe environment. 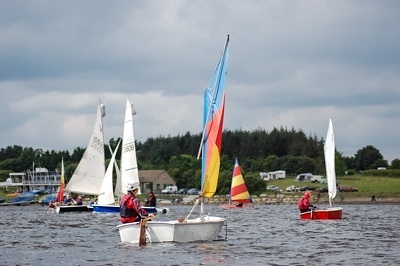 The Club provides a range of activities ranging from RYA Learn to Sail courses, family fun days with camping, through to advanced race coaching. Once a month is a 'Y&J Saturday'. This is where families come together to enjoy being on and around the water. These sessions are great for those children who can already sail and want to improve in a fun, low pressure environment. We also encourage parents to get involved in running the activities, to get to know each other and introduce younger children to the club. We run games both ashore and on the water. There is also fun racing with on-the-water coaching run by experienced racers and qualified RYA instructors. The end of the season prizegiving has prizes for serious racers, improvers and those showing perseverance. The evening is time for family games in the comfortable clubhouse followed by a social event and free camping at the club. Following every Y&J Saturday is one of the clubs popular Sunday 'Trophy Days' where children are encouraged to put their skills into practice and compete against the rest of the club. There will usually be a Y&J prize as part of these mini race series. Sailcamp is a residential (camping) watersports activity-based week for up to forty 8-16 year old club members. It lasts from Sunday through to the following Saturday morning held early in the school summer holidays. During the week, the first four days revolve around sail-training, based on the range of junior RYA training courses, including Learn to Sail, Racing, and Sailing with Spinnakers/Seamanship. Mon-Thurs are spent sailing and team games, with Friday spent doing other fun activities. 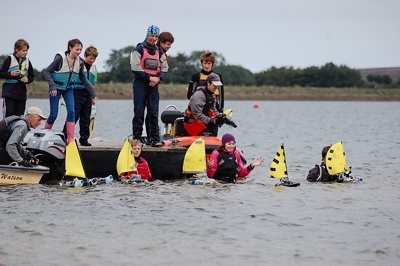 Sailcamp is a great opportunity for both children and their parents to get really involved in the club and get to know a large proportion of the membership. Application forms and details about Sailcamp go out with the membership renewal forms in the New Year, but late applications will be considered where places are available. Sailing is one of the few sports where young people can compete successfully on a level basis against Adults. We encourage our young sailors to race so that they may join in with main club races. There are races on Wednesday nights and Sundays, with special awards given for results by Y&J sailors. The earlier Sunday races are often a good place to start racing. Normal Sunday afternoon racing is also open to the youngsters should they want to participate, with many of our young sailors beating the more aged among us on a regular basis! Some may find the idea of racing a bit daunting but we always have experienced sailors looking for enthusiastic crews. NEYTS is a series of one-day racing events held at Scaling Dam and other sailing clubs throughout the NE. They are open to all under 19s and are an ideal way for youngsters to meet fellow sailors and experience sailing in different environments, including large and small inland waters as well as on the sea. For the less experienced, on-the-water coaching is provided. For dates and contact details for all Y&J events see the Yearbook, website calendar or the Youth & Junior 'at-a-glance' poster for dates. For information on our Learn to Sail courses please go to our training page.